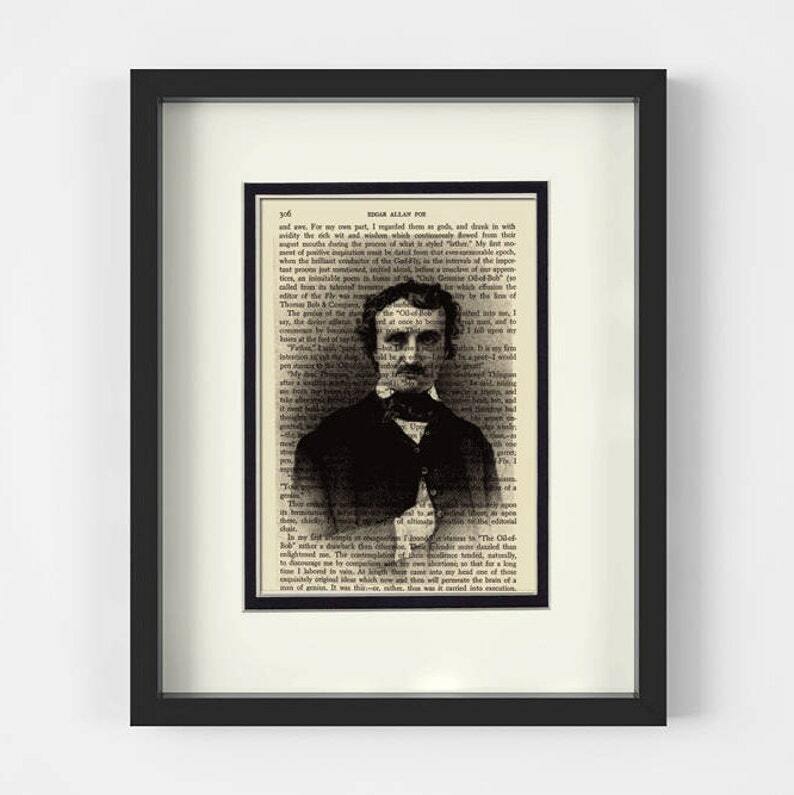 Edgar Allan Poe Art Print. Vintage Edgar Allan Poe Portrait over a VIntage Edgar Allan Poe Book Page. Mounted under an 8x10 creamy white mat with an inner black border. A unique one of a kind piece of artwork. You will not receive the exact print shown but will receive a print from the same book.